How many times have you regretted making a decision? Especially when you think you were making the right decision at the time! For some, it can cause you to second guess your instincts, and whether you have the capacity to make good decisions. Especially if a previous decision impact you financially, or caused you emotional pain from a difficult relationship. Developing the tools to make better decisions is essential not just for success, but for our confidence as well. But how do we do that? How can we position ourselves to make better decisions? Is this something we can get better at, especially if I’ve made poor decisions in the past? Yes, you can make better decisions. But it will require you to take a step back and be willing to apply some basic principles that will give you the opportunity to make a decision with more information, and with less emotional influence. This skill is not the easiest to master. But it is definitely worth the time to cultivate. Allowing yourself the opportunity to take a step back and gather as much information as possible. Even the information that you can’t see! This is called the Spotlight Effect. 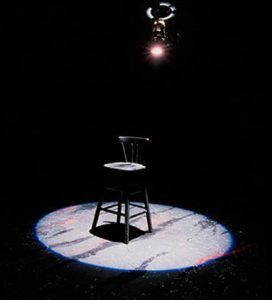 The Spotlight Effect is when you make a decision by only looking at the information that you are focused on at the time, like a spotlight on a play stage. The spotlight is shining on the focal point of the scene at the time, but it is not showing everything on the stage. In order to see that, you will have to move the spotlight around to see the other things on the stage. Our decision-making process is a lot like the spotlight. Many times we make decisions based on what we see. Many times we don’t take the time to move the spotlight around to see what else is around that may influence our decision. Here is an example of what I learned about myself when reflecting on my approach in buying a car. I hope this helps when thinking about your decision-making process! According to Heath and Heath (2013), “we are quick to jump to conclusions because we give too much weight to the information that’s right in front of us, while failing to consider the information that’s just offstage” (location 45). As I reflect on my decision making process in buying a car, I can clearly see the spotlight effect. I was laser focused on one vehicle and never stopped to consider that there could be another car, dealership, and/or price that would better suit me. According to Kahneman, “what you see is all there is.” That was very much the truth in my case of buying the car. What I saw was all I wanted and all I thought I needed. When I combine that with what my grandfather taught me, I put myself in a situation where the “spotlight” directed my attention to the one and only car that I had interest in. Everything outside the spotlight was obscured or something that I just could not see. Because of this, I failed to ask obvious questions about the car and its competitors. This spotlight effect has tended to narrow my perspective on possibility and opportunity. When I envision something that I want, it was difficult to be open to explore different possibilities that could result a similar if not greater results. My reliance on my gut instincts has proven to be a limitation in making the best possible decisions. Being willing to look beyond the spotlight, and be open-minded to what’s beyond my perspective is a part of the growing process that I’m looking forward to exploring to push me beyond my comfort zone.